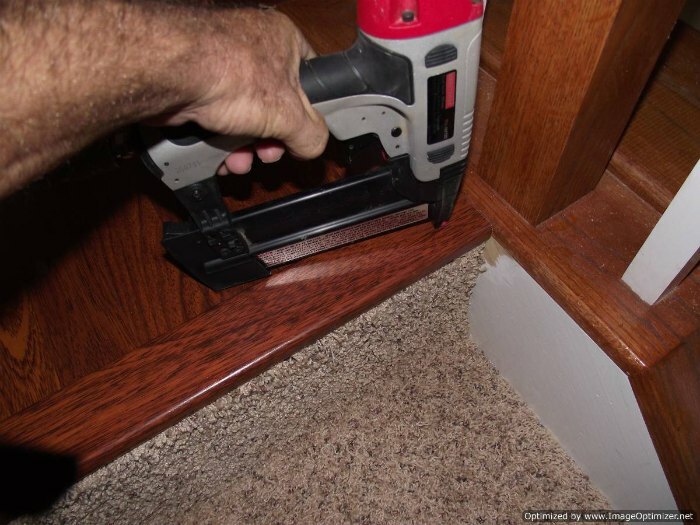 Installing laminate on top stair to carpet can work both ways. 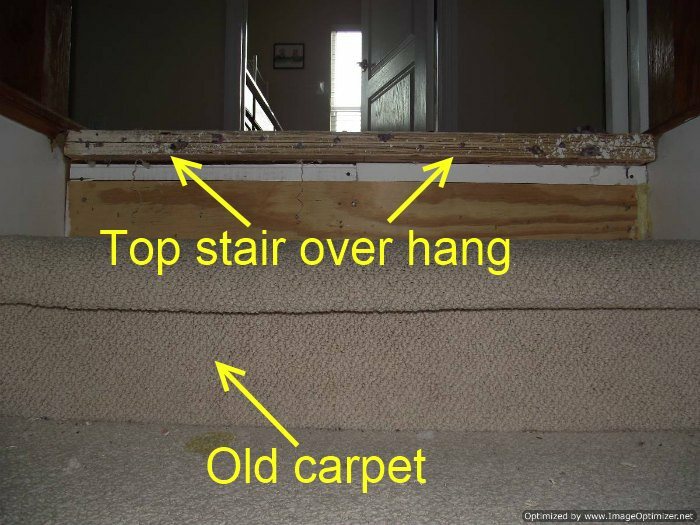 You may have carpet on the stairs and need to install the laminate up to the top stair where the carpet ends. 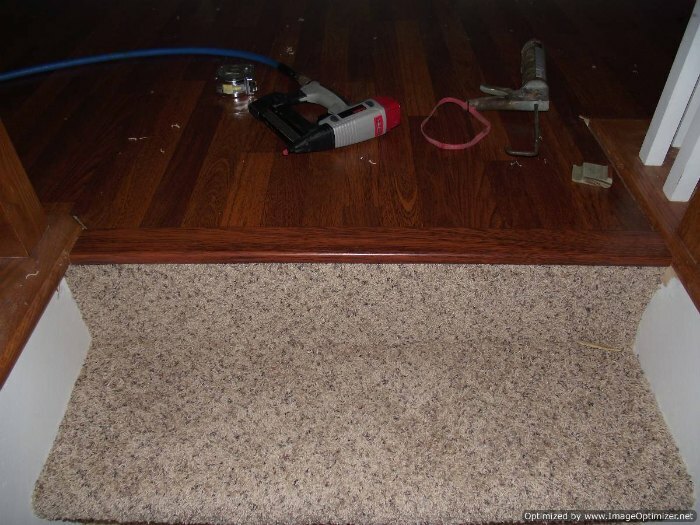 Or you may have laminate on the stairs and need to finish the carpet up to the top stair of laminate. Most often the top stair will involve installing a stair nose. Most of the stairs have an over hang that may need to be cut off. Or the space beneath the over hang can be filled in with wood. The new stair nose cannot be installed with an existing over hang. 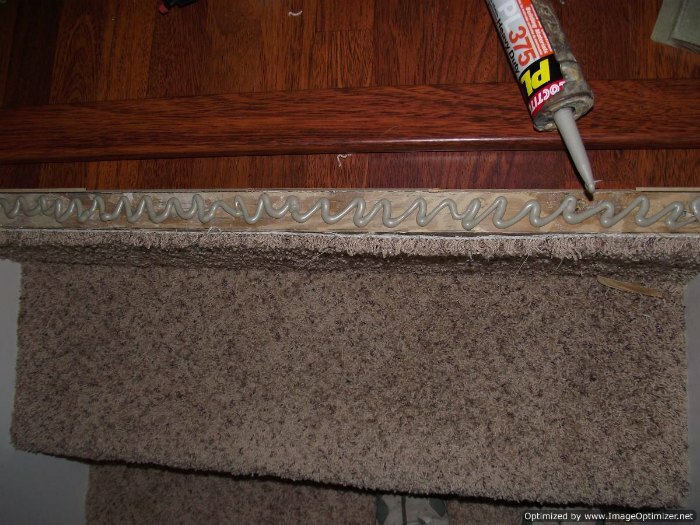 In this particular case we installed new carpet on the stairs and laminate flooring on the upstairs hallway. First the over hang needs to be cut off of the top stair. This over hang is made of two layers of plywood. I used a skil saw to cut off as far as I could go from side to side. Then I used a jig saw to cut to the edges on both sides. There is more information in the link above for this procedure. 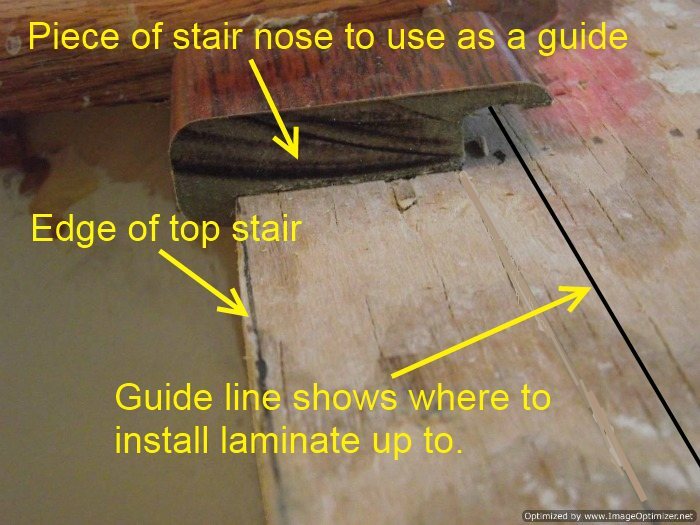 After cutting the over hang off of the top stair, I use a small piece of stair nose as a guide to determine where I will stop the laminate flooring on the top stair. I draw a line as my guide. As I mentioned before this situation could be the opposite. Instead of the laminate flooring being installed on the upstairs hallway, you may have carpet. 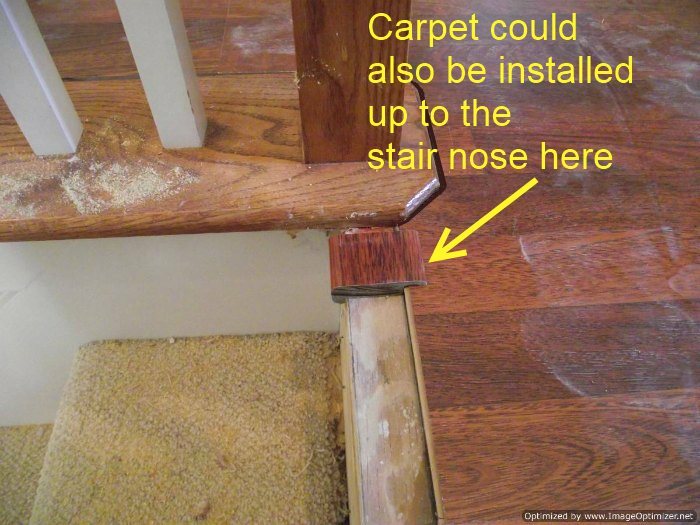 If this is the case, the carpet could be installed up to the stair nose. Now I have the carpet installed on the stairs and the laminate on the upstairs hallway. The stair nose will overlap the carpet. I use a good construction adhesive to glue the stair nose on. Use a good amount to insure maximum bond. 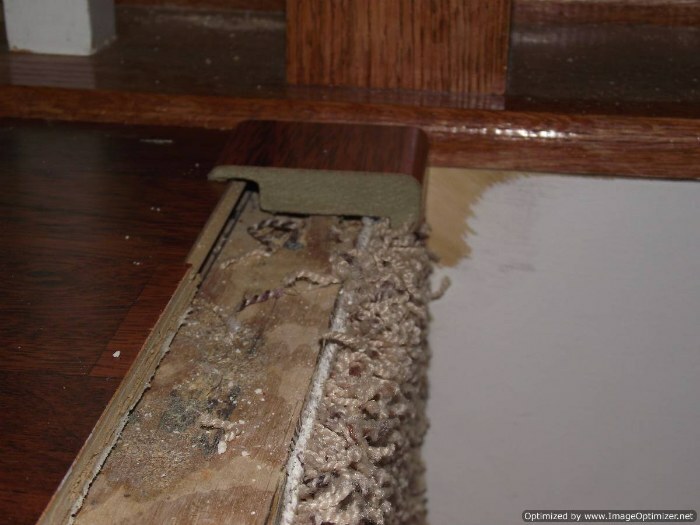 Try not to apply too much glue as you may have a mess if it gets on the carpet. After applying the glue I also like to nail the stair nose on with a nail gun for extra support. I use 2 inch nails for this. I usually nail about four nails across a three foot stair. Do not nail too close to the edges, maybe about 1 to 2 inches from the sides. This is the completed top stair installation with carpet installed on the stairs and laminate flooring installed on the upstairs hallway.